Rhinebeck weekend was filled with so many wonderful things, but one of the highlights was definitely seeing two huge boxes of French Market Fibers being set up in the Indie Untangled booth at the Rhinebeck Trunk Show. Of course, it was equally great to spend time with Margaret and get to see her interacting with her customers at her first show, and also enjoying the fairgrounds with her adorable daughter. 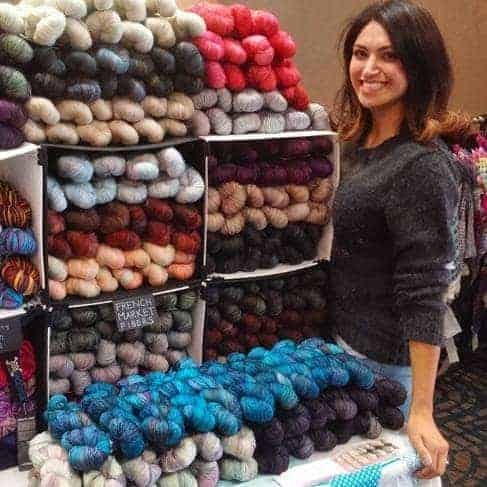 Since it was going to be difficult for Margaret to take the yarn back with her to Louisiana, we decided it would be best for me to bring it back to the city and have an update on Indie Untangled. Well, today’s the day! 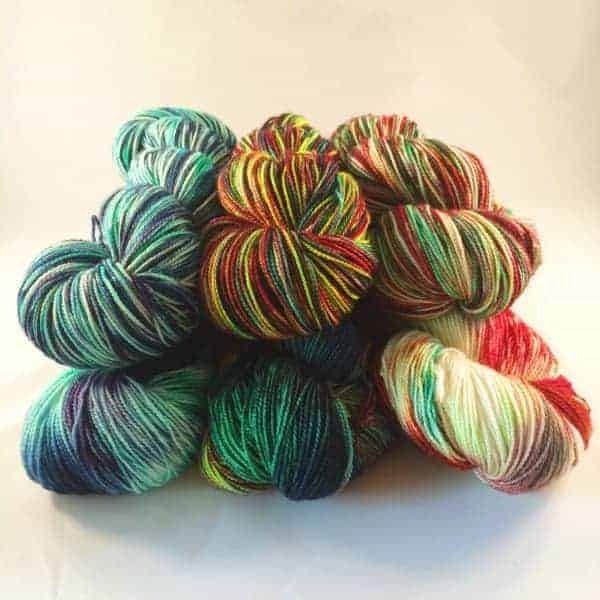 Head on over to the French Market Fibers post-Rhinebeck shop and grab some of Margaret’s beautiful NOLA-inspired colors. It’s exactly eight weeks until Christmas! And while I usually get a little crazy when I see Christmas things before Halloween, I cut knitters some slack as handknit gifts require some planning. 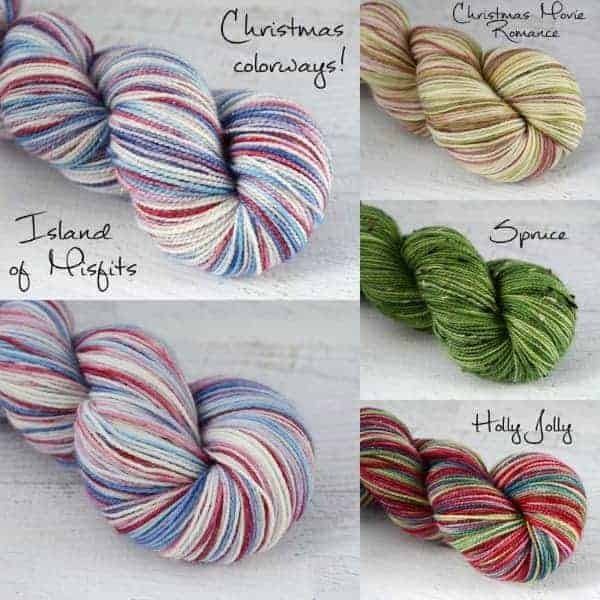 Never Enough Thyme’s Christmas colorways are now available, and include the lovely Island of Misfits, inspired by the classic Rudolph the Red-nosed Reindeer, as well as Christmas Movie Romance, Spruce and Holly Jolly. There’s also yarn inspired by the new movie Pan. Susan of With Pointed Sticks is also planning for Christmas early (gotta get started on those Christmas socks!) and has released three holiday colorways on two different bases. From the left, there’s Ice Queen, All Is Bright and Peppermint Stick. All three are available on Ballpoint Sock, a Merino-nylon blend, while Peppermint Stick and All Is Bright are available on Glitter Gel Pen, a Merino/nylon/stellina sock yarn. This entry was posted in What to Stash and tagged Christmas, updates, yarn.